Spice Maple cabinetry brings the perfect dash of luxurious warmth that keeps the heart of your home aglow with a distinctly welcoming look and feel. With this said, allow Craftsmen Network to introduce you to this prized commodity that will surely prove worthy of your time and money. 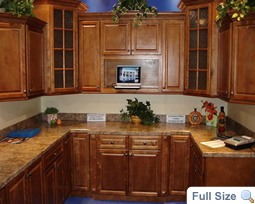 Spice Maple Cabinets are built from Maple - one of the most popular wood species when it comes to kitchen cabinets. Maple has become well-loved for the little to no grain facade that it has. This fine texture makes up for versatility that complements well with a good variety of kitchen designs from contemporary, to traditional, to country. Spiced up with a rich glaze emanating with that unique glow; you'll find the appeal of Spice Maple Cabinets irresistible. 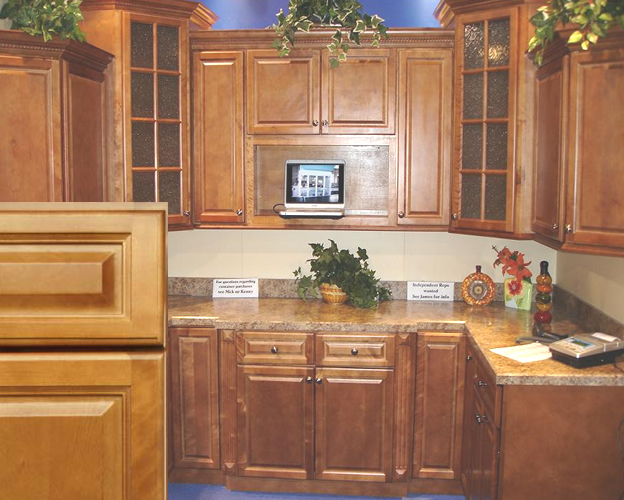 Spice Maple Cabinets can easily become any homeowner's pride as well as the source of admiration and even envy of guests. One great thing about opting for such choice is the inherent strength that comes with beauty. We understand that the key to a long-lasting durability are the precision and skills used in cabinet-making as well as the choice of quality wood materials. 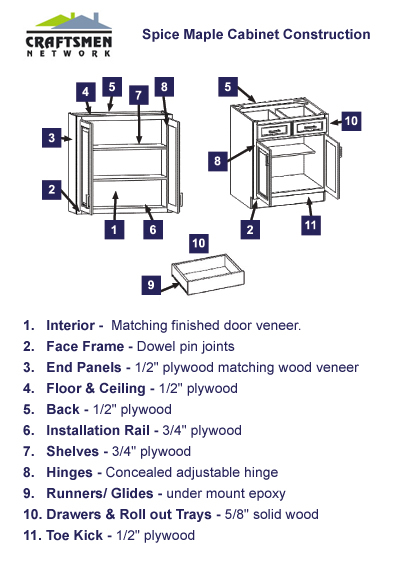 These are what you'll get when you buy your Spice Maple Cabinets from us. Though truly a prized commodity any homeowner could own, not all Spice Maple Cabinets are created equal. We do business with customer satisfaction as our core value. We see to it that we go above and beyond to make sure that every transaction is a good one, especially on your end.